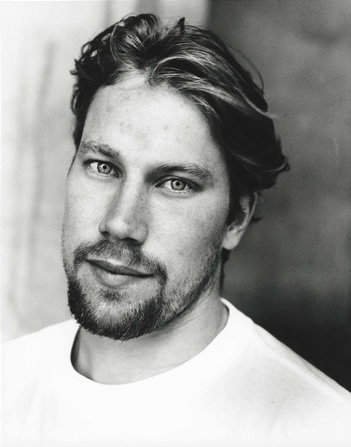 Dirty Dangle Hockey: Peter Forsberg Is Back... But For How Long? Peter Forsberg Is Back... But For How Long? On Sunday, 37-year-old Peter Forsberg signed a one-year, $1 million pro-rated contract with the Colorado Avalanche. Right now, the only thing in his way are some immigration issues. Personally, we think Swedish people should be able to work and travel hassle free. 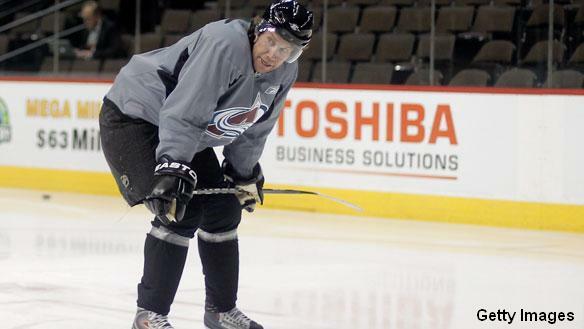 In a perfect world, Peter Forsberg comes back and helps lead the young Avs to the playoffs. He then also sticks around and plays for a few more years and remains healthy. The Avalanche are currently on the outside looking in as they battle for the playoffs in the very crowded Western Conference. 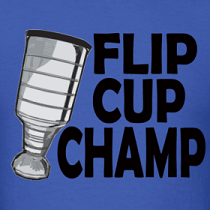 Personally, as a hockey fan I would love to see Foppa stick around and play for a few more years. I have a great deal of respect for the Forsberg. He is not trying to play again in the NHL for money or to pad his Hall of Fame stats. He just loves the game and wants to play in the best league in the world. Forsberg hasn't played in the NHL since the 2007-08 season, when he played only 9 games, but still put up 14 points. The last 2 seasons he has only played a total of only 26 games for Modo in the Swedish Elite League. Foot problems have kept him on the sidelines, and many wonder how many games until they start acting up again. So what are the expectations for Forsberg? Could he be a point per game guy again? It seems like he has lost a step and might not be as explosive in the corners. But with his hands and hockey sense he still will put up decent numbers on the powerplay. This is a player that is ranked fourth all-time in NHL career assists-per-game with 0.901, behind only Wayne Gretzky, Mario Lemieux and Bobby Orr - so you don't have to tell him how to rack up points. An interesting note on Forsberg too - he's never had a minus season in the NHL. It will take him a few games for him to get his timing back I'm sure. But I am sure fantasy pool GMs will be looking to add him to their rosters off the waiver wire in their leagues. How do you think Forsberg will play? Point per game player? Dressing room leader the young Avs need for a playoff push? Or... a huge bust and get injured after 5 games? In an ideal world, he comes back and finishes at least this season and gets the team into the playoffs, then retires officially. He has nothing left to prove, and quite frankly just seeing him (one of my all time favorites) play at the olympics on a line with my favorite player in the league today (Hank Zetterberg) was enough for me to say "okay Peter, you've done enough." Haha. That line with Hornqvist, even though they didn't put up many points... was something truly awesome. Forsberg will get hurt and retire for good. His body is broken down. He will start off hot, get 10 pts in like 10 games then he will get hurt. I'm tired of him coming back over and over again. Every season it's the same old song. Forsberg's style of play has led him to deal with several severe injuries. It has been said in the press that he is injury prone because he did not soften his game as he got older.In 13 seasons as an NHL player, Forsberg missed an entire regular season and played in less than 90% of regular season games in seven other seasons. I think it will be like Gilmour. His fist game back he will break his leg(foot) or something that will force him to retire! Swedish girls should be allowed anywhere all over the world for sure... hot pic!